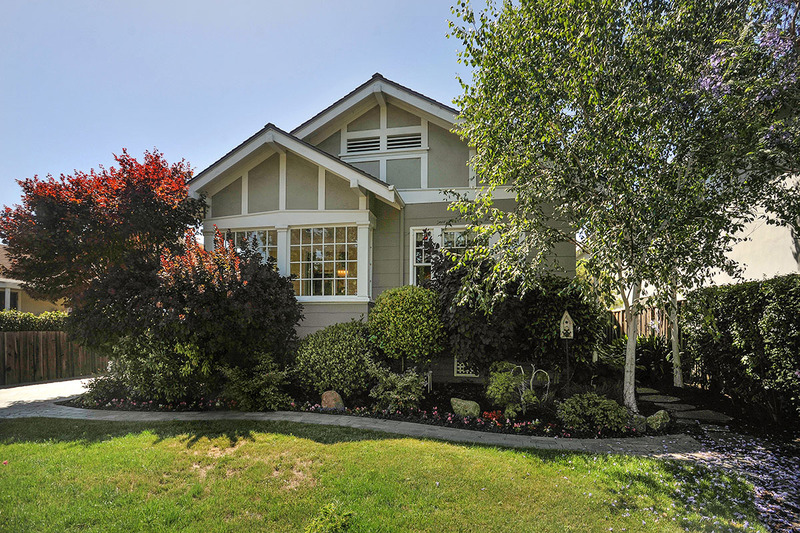 Located in San Mateo’s sought-after Eastern Addition, this 4-bedroom 2-bath home sits on supremely manicured grounds. Beaming with character, the updated craftsman offers the perfect blend of classic charm and modern amenities. Recently remodeled, this property hosts a new roof, high efficiency furnace, and tankless water heater along with dual paned windows and a new gated, paver driveway. Its 1,730 square-feet opens up to a garden-facing sunroom with direct access to the communal quarters. Accented by Oak hardwood floors and paneled ceilings, the home features a fluid floor plan with an open chef’s kitchen, breakfast bar, and dining room just steps away from the spacious living room. The personal accommodations include a shared full bath and three secondary bedrooms with high ceilings, hardwood floors and ample closet space. The private master suite enjoys a spa-like bathroom with an oversized, stall shower beneath a stunning skylight. Graced with an expansive, tree-lined backyard, residents can soak up the sun with plenty of room for outdoor dining, barbecues and childs play. Just a stroll from both Burlingame Avenue and downtown San Mateo, this property sits in the midst of endless dining and shopping options with coveted access to top-rated, San Mateo schools.